A beautiful lawn is important both at home and at the office. 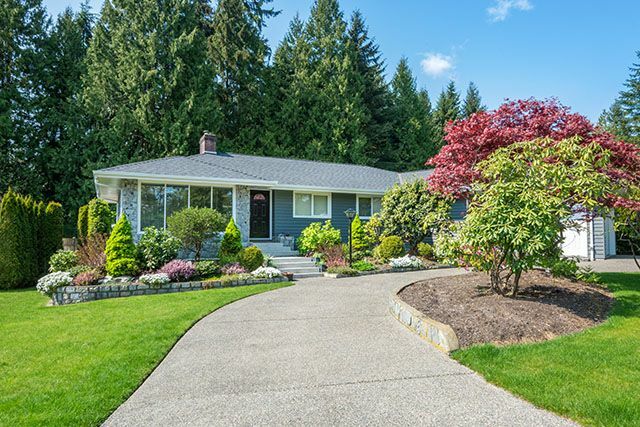 What your lawn looks like to those who see it for the first time is important because it’s what allows those who do not know you to form an opinion of your home or your office. If you are selling your home, you want the lawn to look beautiful so that potential buyers want to see more. A dull, boring or ugly yard can turn off buyers before they’ve even had a chance to look at your home. The same goes for your business in Owego, NY. When potential clients and customers see your business for the first time, the office landscaping matters; a poorly landscaped office lawn can cause your business to look unprofessional and a client to go elsewhere in Owego, NY. At A Great Choice, we have more than 20 years in the business to guarantee that we know what looks good, what works best and how to best maintain a lawn in our area. This helps us to stand out from the competition and provide the best possible service to our Owego, NY clients. We offer a wide array of services to meet your needs, and we are fully equipped to handle any of your landscaping issues. From lawn mowing to planting new flowers in your lovely flower beds, we do it all. Our professionals are knowledgeable about what works, what doesn’t and how to best utilize your space when it comes to landscaping in Owego, NY, and that’s what sets us apart from the rest. Whatever your landscaping needs, our professionals can handle them for you so that you don’t have to worry about anything but enjoying your beautiful lawn once we’ve been to your home or office. Our landscaping services encompass a wide array of services, and that’s what makes us the premier landscaping service in the Owego area. We offer comprehensive services individualized to each of our clients so that we are able to best provide you with the landscaping you desire. A beautiful lawn starts with beautiful grass, and that’s why we specialize in fertilization services. At A Great Choice, we understand that it’s difficult to enjoy your landscaping when your grass is not as lovely as it could be, so we work hard to ensure that your grass is fertilized throughout the year so that it grows back every spring full and healthy. Our job requires that we spend some time in the lawn working on not only your landscaping needs, but also your grass. Let us come and fertilize your lawn so that it always looks as good as it was meant to. You do not have to settle for a lawn that is underwhelming and underdeveloped. Your grass could be thicker, cleaner and more family-friendly if you allow us to come in and work our magic with our fertilization and weed control services. Who has time to mow their own lawn between work and family and all the fun that comes with the latter? 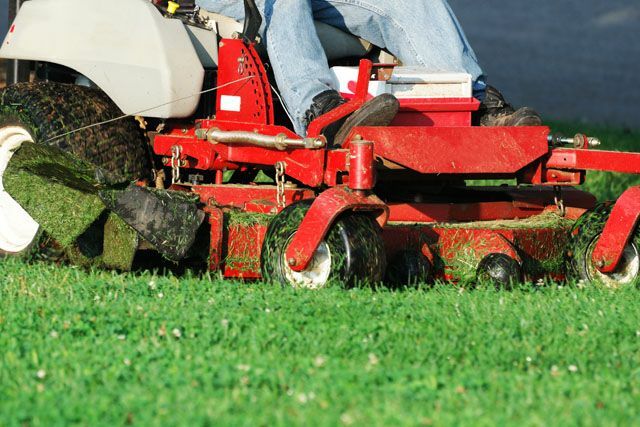 At A Great Choice, we understand that our Owego, NY residents and business owners have far better things to do with their time than carve out a stretch of time to mow your lawn every week to keep it looking good. We understand that it’s not always easy to find a few hours in the daylight to get out and mow when your kids need you and your family has other obligations. That’s why we make it our business to handle your lawn mowing and maintenance needs; so that you don’t have to. When you allow us to do what needs doing in your lawn, we are able to better care for you so that your family can do what you should be doing; enjoying life and all that is has to offer. We don’t want you stressed that your grass is getting high and your social calendar is too far packed to make time to mow; let us handled the details. Whether you are in the market for something aesthetically pleasing or you are in the market for something a little more practical and functional, our retaining wall construction experts can handle your business. We can provide you with the best design to work well with your landscaping rather than against it so that your family or business has the most pleasing look in the lawn. Whether you’re looking for more space to plant or a wall to provide you with adequate drainage and lawn care, we have the right design for you. Let our experts handle your retaining wall construction needs and provide you with everything that you’ve ever wanted. A beautiful patio is what makes outdoor entertainment and enjoyment possible. There is something to be said about a patio that looks and feels as good as one that’s custom designed for your home with your décor in mind. It’s far more appealing than a concrete pad with no color or dimension, and your walkway matters, too. Let our professionals come to your home or business and teach you what you need to set your home and/or office apart from others. It’s not too much effort on your part, but allowing our professionals to install a new walkway or patio can make a huge difference in the appearance of your home or office. With more than 20 years experience with all sorts of landscaping and construction needs, we here at A Great Choice are happy to help you in any way that we can. Our goal in Owego, NY is to ensure that our clients’ expectations are not only met, but exceeded in every manner possible. It’s our goal to ensure that we are able to provide our passengers with the best possible service at all times, and to keep our clients happy. Our customers know that calling us means the best service, the friendliest and most professional staff and the best possible landscaping in Owego, NY. Give us a call today at A Great Choice to ensure that you are given the best possible quality when it comes to your landscaping needs. Our professionals are happy to help you achieve the lawn of your dreams.